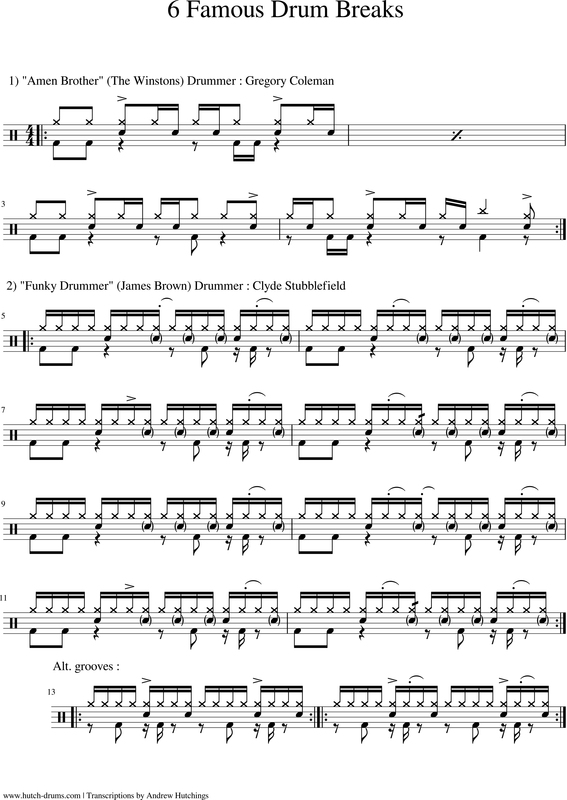 A brief selection of classic drum breaks every drummer or producer should know. I got listening to hip hop when I joined Debasa around 2002. Prompting me to research and listen to a lot of music that I wasn’t previously very familiar with. It was a lesson in stripping things right down, keeping it super simple, but right in the pocket. Like our bassist used to say – “focus on the good stuff!” It’s not what you play, but how you play it. It was also a history lesson and it took me back to some of these drumming greats – Clyde Stubblefield, Jabo Starks, Zigaboo Modeliste and Bernard Purdie to name a few. These dudes have been sampled again and again – including by myself. I still often reach for Gregory Coleman’s amen break when producing tracks and I keep a few mix versions cut up in an ableton drum rack to play back on my live electronic setup. Standard. It was the production qualities of these recordings that originally drew hip hop and electronic producers to rip the samples, the fact the drum features were isolated from the rest of the mix and most importantly to me and too often overlooked – these drummers performances were so damn good. 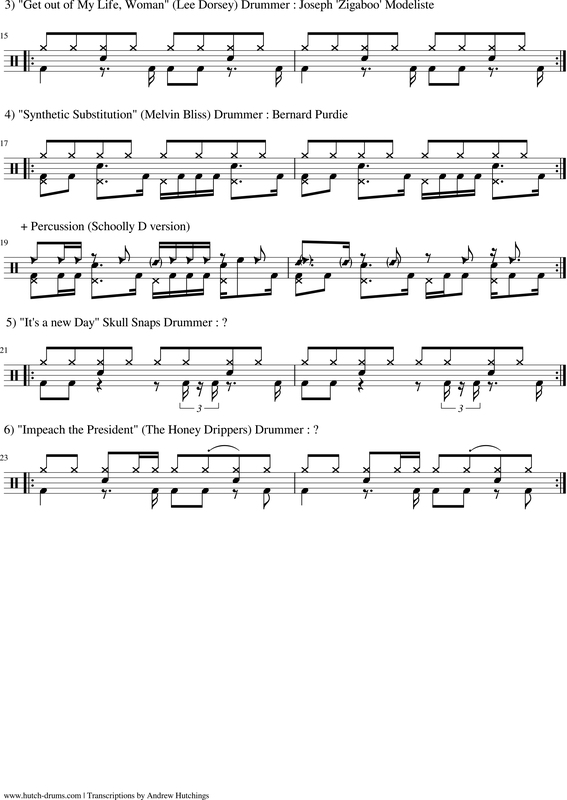 So here are my old transcriptions of some of the more obvious hip hop breaks in their original glory as a funk and hip hop workout and history lesson. Some of them very basic, while some probably far harder to get feeling right than you’d imagine.